2905 W. 76 Country Blvd. In this Powerful and Moving show, the Sweethearts of Branson pay tribute to one of today’s most Influential Entertainers. A variety show with lots of laughter and dynamic harmonies, that takes you through the life of those who influenced Dolly, and those she still influences today. 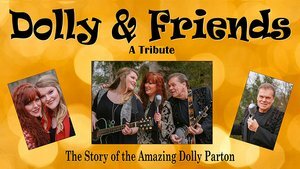 From the beautiful family harmonies of the mother-daughter team The Judds, to the high energy duets of Dolly and many of her friends,you will be touched and transported on a sweet-sounding journey you will never forget. This show is brought to life by Branson’s favorite duet, the award-winning “Sweethearts of Branson”, with Bass vocalist Denny Yeary, and his dynamic wife, Shelia Renee. They are joined by their talented daughter McKayla Christine, where together they create a musical experience you will never forget.